A toddler tossing your pricey Samsung Galaxy S9 smartphone in his soup or dropping it on a brick, which does you dread most? I think it would be having your phone dropped on the concrete because, for certain, a web of cracks would make your phone ugly and even tamper with the responsiveness of the screen. The best way to address this problem is to shop for the best screen protector on the market and have it installed on the screen of the device. Various factors need to be considered when purchasing a screen protector. 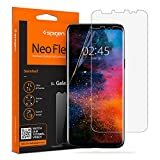 The best screen protector to sufficiently address your needs should be thin enough; should not interfere with the responsiveness of the screen; should not reduce the clarity of the screen; must be sufficiently hardened; should not form bubbles after installation. 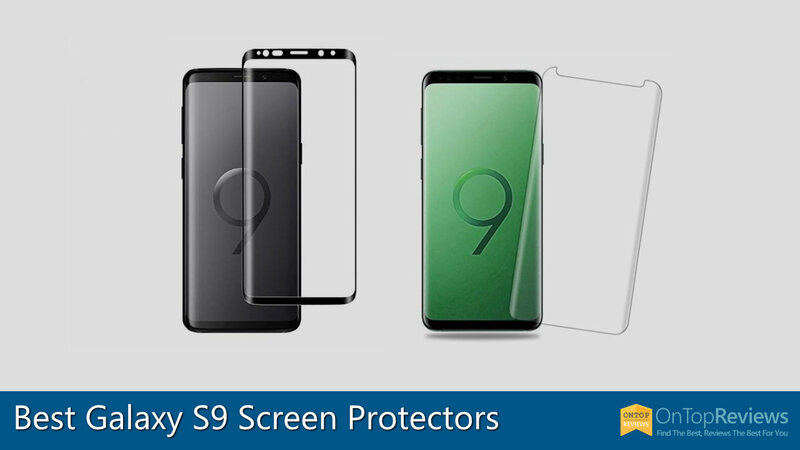 Here are the best screen protectors for Samsung Galaxy S9. With 9H hardness, this screen is as hard as a typical kitchen knife hence the ability to withstand scratches by knives and other sharp objects. It comes with a hydrophobic, oleophobic coating that serves to reduce fingerprints and smudges. The original transparency of the screen is preserved courtesy of its ability to maintain 99% of the screen’s transparency. It is 0.3mm thick to protect the original response sensitivity of the screen. Installation is easy, thanks to its 2.5D rounded edges, bubble-free and adhesive. At the asking price, this is one of the cheapest clear screen protectors on the market. 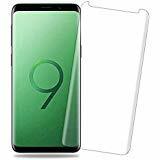 This screen protector is exclusively made for Samsung Galaxy S9 and provides full-screen coverage while being case friendly at the same time. It is Bubble Free Guaranteed and designed to allow easy installation. With the thickness of just 0.33mm, it is reliable and resilient at the same time supporting full compatibility with the sensitivity of the touchscreen. It has the 9H surface hardness to withstand scratches for longer. SanMander, the maker of this screen protector, places a 1 Year Warranty on it to show their commitment to producing quality products. 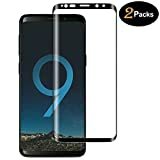 At the asking price, this glass screen protector is within the affordability range of most Galaxy S9 users. 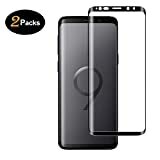 This glass screen protector comes exclusively in color black and is specifically made for Samsung Galaxy S9. Its 9H Hardness enables it to endure highly abrasive scratches, scrapes, dust and can reduce impact. It is made from quality tempered glass with HD 99.9 transparency which allows optimal natural viewing. You can easily install it on your Galaxy S9 easily Edge to Edge, thanks to the Bubble-Free membrane beneath it. With the price tag, it is well within reach of most Galaxy S9 user without compromising quality. This screen protector offers maximum clarity without bubbles and rainbow marks. To make it capable of adapting to curves on the infinity screen of Samsung Galaxy S9, the screen is made of a remarkably flexible film. It is designed in such a way that all Spigen Cases are compatible with it. A comprehensive and easy to grasp tutorial is included in the pack to show you how to install it appropriately and avoid mishaps. It is perfectly normal for rainbows and bubbles to appear on this screen protector shortly after installation but do not be upset, they will disappear during the drying process. 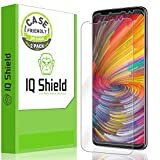 IQ Shield Galaxy S9 Screen Protector comes with an installation tray, squeegee, intuitive installation instructions, and lint-free cloth. IQ Shield’s own innovative liquid skin adhesive together with the IQ Shield wet-install technique ensures bubble-free and easy installation. Unlike other commonly used screen protectors, the LIQuidSkin adhesive on IQ Shield screen protectors are made using an innovative process that instantly melds high-response sensitivity, has non-yellowing properties, high optical transparency, and self-healing durability while remaining tough enough to withstand scratches and cracks from a limited degree of impact. 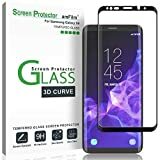 Each IQ Shield Galaxy S9 (version 2) screen protector is backed a Lifetime Replacement Warranty plus 100% Satisfaction Guarantee. Would you like to buy a phone’s screen protector but you’re clueless on how to select the best? With the market awash with many types of phone screen protectors from different manufacturers, you’ll need to make your selection carefully lest you end up with a product that won’t suit your needs. Here are four things you need to know when buying a screen protector for your phone. The materials determine the durability of the screen protector. Your options will be limited to tempered glass screens and those made from plastic film. Plastic film screens are notoriously unreliable sometimes flopping sideways on the touch screen while in use but are known to be affordable. Tempered glass screens, on another hand, are more protective and are capable of resisting shattering and scratches but are expensive. Touch, response and optical clarity are important. Adding anything, even plastic film glass, between your eyes and the phone’s screen can significantly reduce your phone’s usability. Quality screen protectors may make the screen look a little brighter while poorly made ones may dim it. Clarity can boil down to the manufacturer of the screen protector and how you apply it. Reputable brands will produce the clearest and highly responsive screen protectors. Don’t always settle for the cheapest screen protectors. The chances are that the cheapest glass screen protector may be of the lowest quality. 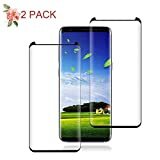 The most expensive screen protector in the room, whether it’s tempered glass or plastic film screen, is more likely to be quality although that’s not always the case because some reputable brands can overprice their products just to cash on their good reputation. Compare the usability and durability of the screen protector and its price before buying. Reading online reviews can keep regrets at bay. 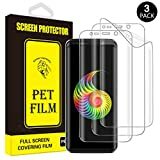 Online reviews of phone screen protectors are mainly written by users of a given brand’s screen protectors either praising its functions or slamming it for its flaws. Believe what you hear, it’s more likely to be true. 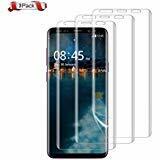 Unless you’re very certain of the type of the screen protector you’re buying based on either the experience or referral, the screen protector of your choice should meet a criteria based on the aforementioned features i.e. ability to withstand extreme impact, preservation of the screen’s responsiveness and clarity, and elimination of bubbles among others.